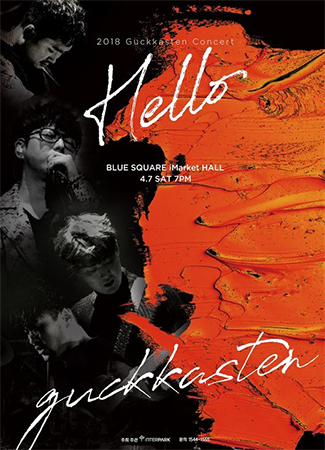 Guckkasten will be holding their first concert of 2018 titled “Hello” at Blue Square iMarket Hall in Hannamdong on April 7. The concert has been titled “Hello” as the group’s first New Year’s greeting to fans and all proceeds will be used to help child cancer patients. The “Hello” concert made its successful debut last year and the group is continuing the series in efforts to give back to fans and contribute to society.